Then Jesus called the twelve together and gave them power and authority over all demons and to cure diseases, and he sent them out to proclaim the kingdom of God and to heal. He said to them, “Take nothing for your journey, no staff, nor bag, nor bread, nor money — not even an extra tunic. Whatever house you enter, stay there, and leave from there. Wherever they do not welcome you, as you are leaving that town shake the dust off your feet as a testimony against them.” They departed and went through the villages, bringing the good news and curing diseases everywhere. Luke 9: 1-6. If we’re willing to listen, I believe this passage of Scripture can teach us a good deal about how we should approach Advent. For most of us, accustomed to succeeding through diligent preparation, Jesus’ suggestion that the disciples “take nothing” seems a little odd. We wonder why Jesus did not want the disciples to bring along a few supplies, a little extra cash or some snacks. First, I think the answer lies in understanding the context. In this passage, for the first time, Jesus inaugurates the notion of what it means to be an apostle. (That word comes to us from the Greek apóstolos, which translates as “one who is sent out”.) Thus, following Christ will require that they leave their rabbi behind and take their own journey. It will require the same of us. No longer would the disciples simply stand around and watch Jesus’ miracles and ministry. Jesus taught them, as he teaches us, that the Christian life was not a spectator sport. So, why would Jesus send his disciples, his friends, out without any tools, equipment or provisions? I don’t think Jesus wanted the disciples to be unprepared. I think rather that Jesus was telling them, “None of that stuff is what you need. In fact, it will only get in your way.” The disciples needed to trust that God would give them everything they needed to do the work he wanted them to do. When they learned to use God’s resources, rather than their own, they were capable of far more than they imagined. That’s not a bad notion for us to carry forward into our journey through the season of Advent. We will need to leave a lot of stuff behind. Mostly, we’ll need to leave behind the illusion of self-reliance that we’ve come to accept. We need to learn to trust God and trust that God will give us the tools for His work. We may also need to leave behind our notion of who we are, and what we’re capable of doing. The real question we should ask during Advent inquires where God is sending us, and what He can accomplish through our lives. you came down, the mountains quaked at your presence. Is. 64: 1-3. Many of the Advent readings address exactly this deep longing within the Jewish people, as they waited for someone to lead them out of slavery in Egypt, as they bore the shame of the Exile, and as they waited for God to redeem this world that just wasn’t working. They had waited for thousands and thousands of years and they knew that something had to change. We listen to John the Baptist calling us to “make straight the path of the Lord.” John warns us that we aren’t ready for God’s arrival into our lives, that we cannot begin to understand the radical difference Jesus will make in the world. The Baptist cautioned the first century Palestinians that only repentance would prepare them for the cataclysmic difference that Jesus would make. Only that repentance would prepare them for the truth of Christ. He is still warning us of that today. 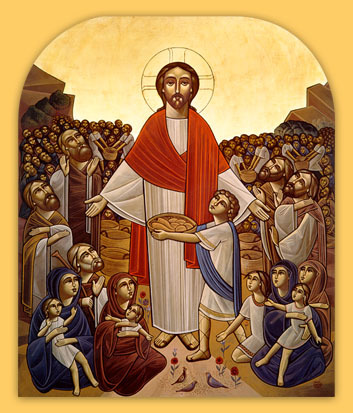 Then Jesus took the loaves, and when he had given thanks, he distributed them to those who were seated; so also the fish, as much as they wanted. John 6: 11. I love the Thanks-giving holiday for a lot of reasons. First, I think few things are more important for our spiritual lives than learning to approach God and His world with gratitude. I have known several people in my life who just had that aura of holiness about them, and without exception they all had the gift of gratitude. Secondly, I think we find ourselves very near to the Sacred when we join with friends and family and collectively recall our gifts. Finally, as we stand on the cusp of the season of Advent and prepare to celebrate the gift of the Incarnation, giving thanks just feels like the right thing to do. Then the king will say to those at his right hand, ‘Come, you that are blessed by my Father, inherit the kingdom prepared for you from the foundation of the world; for I was hungry and you gave me food, I was thirsty and you gave me something to drink, I was a stranger and you welcomed me, I was naked and you gave me clothing, I was sick and you took care of me, I was in prison and you visited me.’ Then the righteous will answer him, ‘Lord, when was it that we saw you hungry and gave you food, or thirsty and gave you something to drink? And when was it that we saw you a stranger and welcomed you, or naked and gave you clothing? And when was it that we saw you sick or in prison and visited you?’ And the king will answer them, ‘Truly I tell you, just as you did it to one of the least of these who are members of my family, you did it to me.’ Then he will say to those at his left hand, ‘You that are accursed, depart from me into the eternal fire prepared for the devil and his angels;for I was hungry and you gave me no food, I was thirsty and you gave me nothing to drink, I was a stranger and you did not welcome me, naked and you did not give me clothing, sick and in prison and you did not visit me.’ Then they also will answer, ‘Lord, when was it that we saw you hungry or thirsty or a stranger or naked or sick or in prison, and did not take care of you?’ Then he will answer them, ‘Truly I tell you, just as you did not do it to one of the least of these, you did not do it to me.’ Matt. 25: 34-46. By now, we Christians should be accustomed to the notion of an invisible reality. We believe in an unseen God at work in the world, that simple bread and wine are transformed every week into the body and blood of Jesus, and that the Church operates as the mystical body of Christ today. So, the reading from today’s Lectionary shouldn’t surprise us: Christ tells us that somehow our works of charity reveal and reflect His presence in the world. Charity doesn’t mean simply rich people writing checks to poor people, and it’s quite different from what we think of as philanthropy. It’s Latin root is caritas, meaning loving-kindness. In Greek the word is agape, and in Hebrew, the word is chesed. The ancient Christian virtue of charity both glorifies and reflect’s God’s love. In no small measure, charity is less about what we do and more about who we are. Let’s return to the notion of this invisible reality about which Jesus is teaching us. He tells us that our charity (our ability to love our ability to see his love and be his love) to those on the margins of society actually reveals our love for Him. 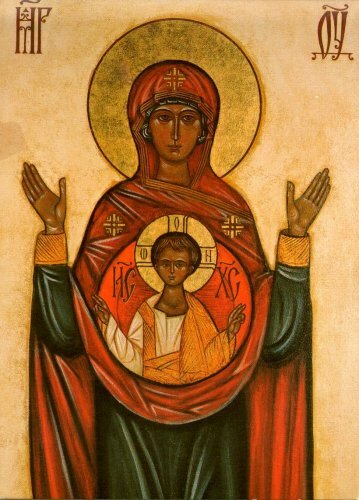 This is the tricky part: “Just as you did it to one of the least of these who are members of my family, you did it to me.” Jesus tells us that through the mystery of the incarnation, every one of us can still encounter the Living Christ. Our compassion for the hungry, the stranger, the sick and the prisoners will allow us to find Jesus. If we take Scripture seriously, we are all compelled to accept this mystical reality. This entire discussion takes place within the context of Jesus telling us that our ability to love without flinching provides the standard by which the sheep and the goats will be separated. Our salvation depends on our charity. Jesus offers all this as an explanation of what the Kingdom is like. I don’t think Jesus is simply talking about heaven, or about some distant time when we’ll find out what it’s like to see the face of God. Remember, Jesus also told us, “the kingdom of God is among you now.” Luke 17:21. I know: the world today doesn’t look much like the Kingdom. That sick lady in the hospital, that homeless smelly old man, and that tattooed gang member in the County Jail: they just don’t seem to have much in common with the Son of God. But I believe in the invisible reality that Jesus told us we couldn’t yet see. And I believe that our charity will form our souls and will reveal the kingdom among us. In fact, everything that we have in our minds before the time of prayer is inevitably brought back by memory when we are praying. So whatever kind of people we want to be in our prayer time, we want to be before we begin to pray. 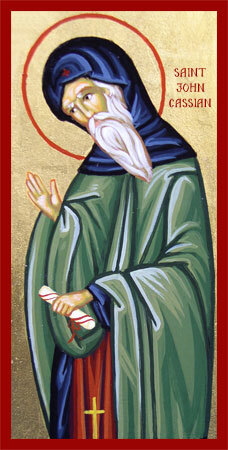 St. John Cassian, Conferences. I found this quotation from Cassian in today’s reading in a wonderful little book, Drinking from the Hidden Fountain: A Patristic Breviary. 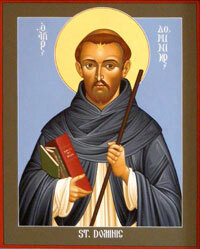 In The Conferences (written between 426 and 429 A.D.), Cassian surveyed much of the work of the Desert Fathers. 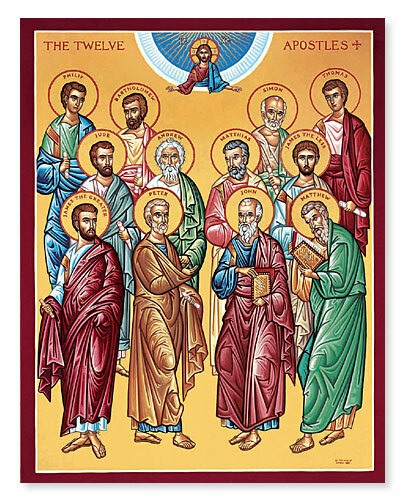 The Desert Fathers, along with Cassian, provided the foundation of the monastic movement. St. Cassian reminds us that we cannot separate our prayer life from the balance of our lives. We cannot separate the way we pray from the way we live. If our lives are rushed, jumbled and frantic, our prayers will reflect that. If our lives are self-centered or consumed by pettiness, our prayer lives will not be much different. If our relationships with our brothers and sisters are shallow and insincere, our relationship with the One God will reflect that as well. Cassian rightly notes that as we approach the Almighty in prayer, we bring our lives before Him, whether we intend to or not. Thus, the Christian life calls us into that process of continual conversion, until our daily lives perfectly reflect the kind of person we want to bring to God in prayer, a person who can rightly share in God’s “holy visions”. We are all already in a conversation with God, whether we know it or not. Cassian asks how authentic, how honest and how loving we want that conversation to be. Well the week of worship started a little differently. Last week I was driving my son to the doctor and we passed the sign leading to one of our prominent suburban parishes currently in a rector search. My son said, “Mom – don’t you really wish you could be preaching THERE on Sundays instead of at Saint Otherwise?” Translated from his tone of voice and prior verbalizations – instead of at your hopelessly small, hopelessly underfinanced, hopelessly eccentric and, generally hopeless little congregation. To my surprise I said “yes. I really would.” And then rattled on a bit about frustration and other human emotions. I hate to confess having said this or felt this. I have a very faithful (to the Lord) and loyal (to the church and if truth be known, to its not always so humble rector) congregation. Which is or at least so far has been, persistently small, persistently underfinanced, as eccentric a collection as one would find in any given Episcopal parish, albeit without a lot of average types to absorb the eccentricity. After almost eight years of what sometimes feels like slogging [as our neuralgic deacon likes to point out] (in the most neuralgic ways possible, without ever demonstrating the desire to do anything other than get dressed up on Sundays and chant things) no visually apparent results, I hate to confess that it is harder than I would like it to be to stay with it. And of late I have more often than I would like to confess to you all had a harder time than I should in putting in the prayer, the time, the study, the listening, and all the things that go into the relationship of priest and parish, and preacher and assembly. And I wonder if there will ever be an answer to what seems to be the most lingering congregational question, asked every Sunday possibly since the parish was founded 126.3 years ago: does anyone remember which can has the decaf in it? Yet when I come on Sunday morning, wondering as I always do whether there will actually be a minyan’s worth of people in the pews, and feeling alone and somehow unblessed in my priestly ministry, getting over the weekly “what do you mean you’re not coming to church and can I ever get out of here on Sunday morning without an argument” conversation at home, we begin the celebration of the Eucharist, with whoever is there, there and whoever is not somehow brought present perceptibly by those who are (I don’t know how they do it but they do – could it be, well love? ), and somehow a change begins. Not in them but in me. I look at them and listen to them, and I get up to preach the word with the gospel open behind me. I walk into their midst and they change me. And I don’t remember anything about the suburban church or the congregation replete with potential foursomes for golf and loads of well-groomed acolytes and articulate lectors. And the sermon I didn’t think I had, has me instead, and the words start to remold themselves from what I imagined and hacked away at into living connections to lives and I am somehow between the gospels and those lives as the connections are knit. And I wash my hands among the innocent and begin the Eucharistic prayer. And I look up and down the center aisle through the glass windows of the doors someone came and put in because they knew the old ones needed replacing. And I see a world from which they have gathered. And I look down and the way the sun plays with the reflections of things around the foot of my chalice I see myself, and I see them and I see the high altar cross, all reflecting from the cup from which our Lord asked us to drink together. and I am where I should be, with them, in their dyings and risings and dying again. And I am graced. And I am humbled. And I am home. And another week will turn. Ethel has died at 92 and her son didn’t want a service. and Sophia will have her tenth birthday prayer. Nicholas will insist he is not a saint, and his mother will agree with him. Carolyn will tell us about the family for which we prayed for a year while their six-year-old son died of cancer giving birth to twins. The senior warden will ask if we can have a secret location for the vestry meeting so that the deacon doesn’t come. I will try to think of a canonical way this could happen. Joyce will go back to her husband and son for another six months of abuse in a remote part of Florida and she will weep as I pray a blessing for her and tell her to come back safe in April. George will have laughed at the jokes in my sermon. Mary Kay and Mike will be at home because Mike is sick from the fourth to the last radiation treatment on his spine. When I say “take them in remembrance that Christ died for you” Trish and I will catch each other’s eyes and she will know we are with her when she goes to painful divorce proceedings on Tuesday. The Organ will have ciphered, even though the repair guy said there was nothing wrong. Christ is among us, and hopeless is not a word that can be thought or spoken. That is my Sunday last. And if God is gracious, my Sunday next as well I think. And I have tried to keep you all, as I do each Sunday, in the midst of its consecratory power. I am both humbled and proud to call Mary my sister. When I read her piece, I found myself simply struck speechless. And then I realized that I am too rarely speechless. And that is why I am a Dominican. Heavenly Father, we thank you that by water and the Holy Spirit you have bestowed upon these your servants the forgiveness of sin, and have raised them to the new life of grace. Sustain them, O Lord, in your Holy Spirit. Give them an inquiring and discerning heart, the courage to will and to persevere, a spirit to know and to love you, and the gift of joy and wonder in all your works. Amen. You are sealed by the Holy Spirit in Baptism and marked as Christ’s own for ever. Amen. The Book of Common Prayer. The video of the Texas judge and his daughter has now gone “viral.” (I think one could make a pretty good argument that there was something viral in this family dynamic long before the release of the video.) In case you haven’t seen it, the video reveals a brutal, sadistic, beating of a teenage girl. The judge’s wife appears to encourage and facilitate the beating. It lasts for almost seven minutes, and I must confess that I was able to watch only about two minutes of it. Two observations emerge from watching this video. First, this was not the first time this had happened. This savage beating clearly occurred as part of a pattern of violence in the life of this family. Secondly, this family did not honor or practice the rubric that one should never strike one’s children in anger. I don’t think we get very far by simply observing that this was a bad man, or a dysfunctional family, or an instance of genuine evil. (As I’ve said before, I try to make it a practice not to judge the content of a another man’s soul. Jesus taught us to pray for these people, and I have and will continue to do so.) Rather, I want to pose a different question. Knowing the Texas judiciary as I do, I’m fairly certain that this man, that this family, sat in some church in the area pretty regularly. Whether they did or not, we should all ask ourselves how people can sit in our pews, nod their heads, and then go home to their families and beat, abuse and neglect our children. Aren’t these the same children that we, at some point, presented for their baptism? That strikes me as the real question. I’m familiar with the biblical text in proverbs which seems to condone, and perhaps even recommend, the corporal punishment of children. I’m also familiar with a good deal of literature and the testimony of several friends that corporal punishment does not work. (Actually, it actually might work to change behavior in the very short-term, but we should rightly wonder whether it also fosters a culture of violence in our families and our children.) But more importantly, Jesus said: “Truly I tell you, just as you did it to one of the least of these who are members of my family, you did it to me.” Matt. 25:40. I don’t think the Savior was foolin’ around. In my legal practice, I have volunteered as an attorney representing children in cases where the State has intervened in cases of abuse and neglect. I have seen the cycle of family violence repeat itself too often and seen the tragic results. Our churches should, no, our churches must, take their teaching responsibilities in this area more seriously. We could begin by starting a serious conversation about this issue, or by teaching new parents about other disciplinary practices they could add to their parenting toolboxes beyond corporal punishment. As part of our promises during the sacrament of baptism, every member of our congregation agrees we will: (1) “seek and serve Christ in all persons,” loving our neighbors as ourselves; and (2) “strive for justice and peace among all people, and respect the dignity of every human being.” In those promises, we recognize the sacramental nature of our duty to keep our children safe. I’m at a loss to reconcile those promises with what I saw in that video, and it’s well past the time that our churches did something about it. Lord , make us instruments of your peace.